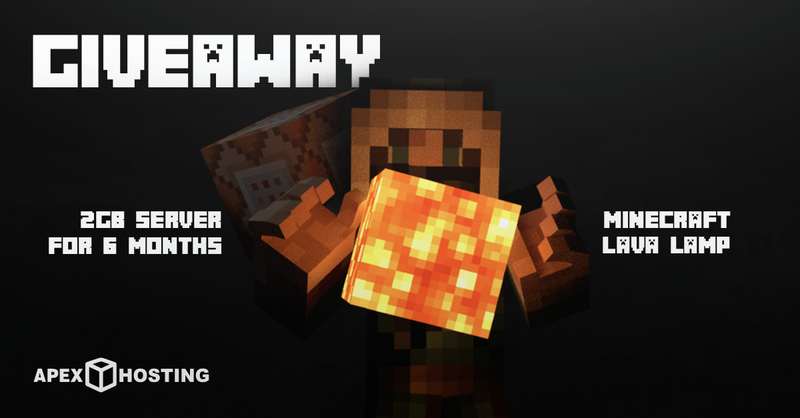 Win a 2GB Server for 6 Months and a Lava Block Lamp! Enter this month’s giveaway for a chance to win this epic prize package! It’s a new month so we wanted to make sure to have a “hot” new giveaway! This month we are giving you a 2GB server for 6 months and this amazing Lava block lamp to keep your room lit while you are up all night playing on your awesome new server! You don’t want to miss this one so be sure to enter for your chance over here!